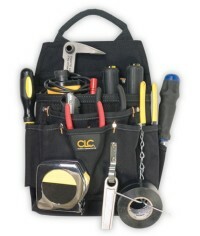 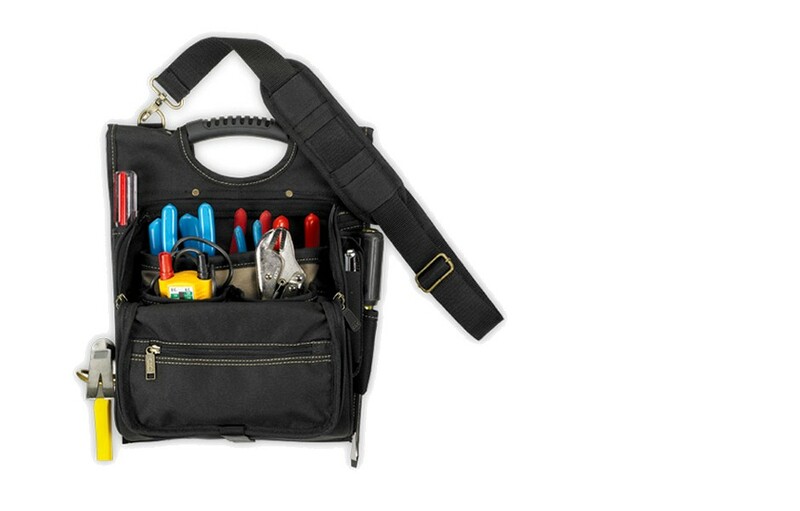 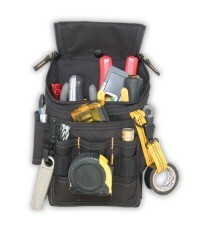 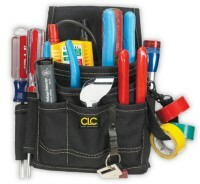 Our premium quality electrician’s tool pouch with 21 pockets has a zippered, fold-down cover to protect your tools, a steel hammer loop, an ergonomic rubber handle, an adjustable padded shoulder strap and an airmesh padded back panel for comfort. 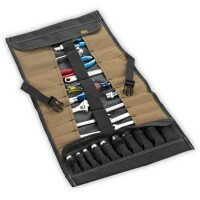 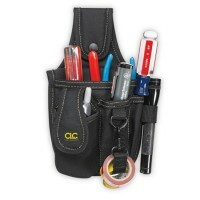 21 pockets to organize your tools and tester. 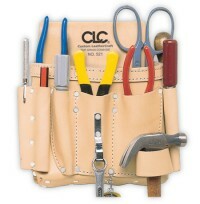 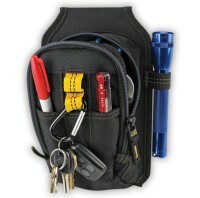 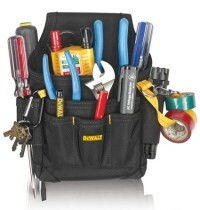 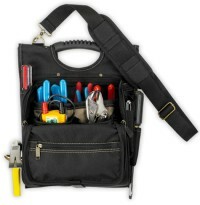 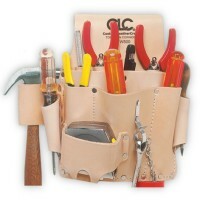 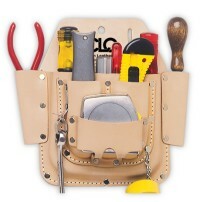 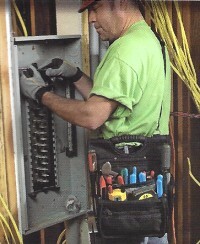 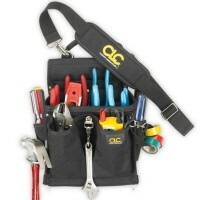 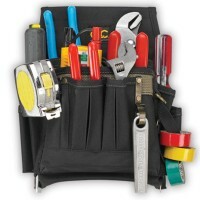 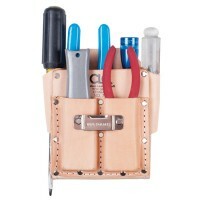 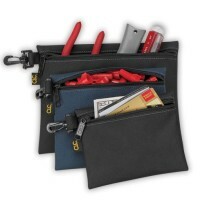 Zippered cover to keep tools secure when not in use, when climbing Ladders or crawling through Attics and Crawlspaces. 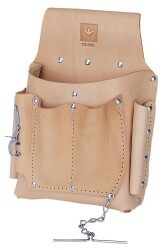 Zippered back pocket for 8"x 5" writing pad. 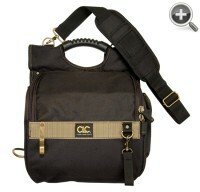 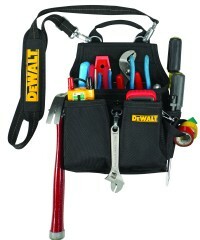 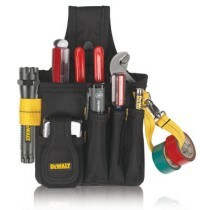 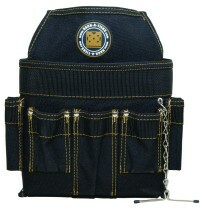 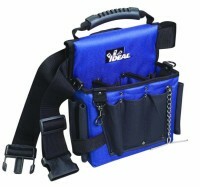 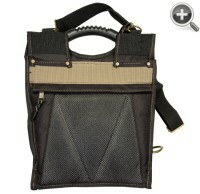 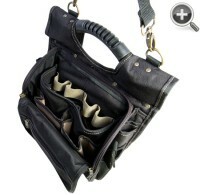 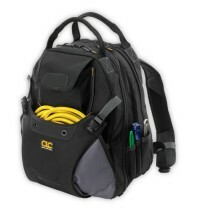 Ergonomic rubber handle and padded shoulder strap design for easy storage and the ideal way to carry loaded tool pouch. 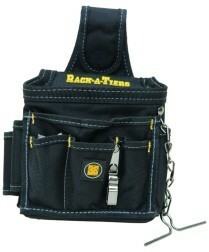 Outside pocket to hold cell phone and 3 outside large screwdriver holders. 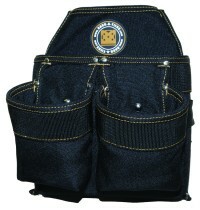 Made of polyester fabric and ballistic binding.